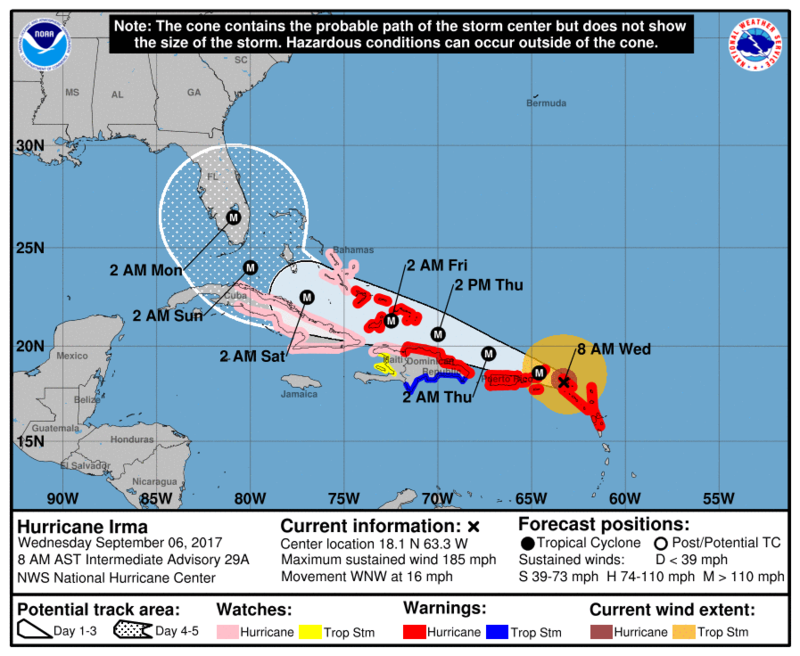 Hurricane Irma is currently a Category 5 Storm with sustained wind speeds of 185 MPH and a forward movement to the WNW at 16mph. The storm is expected to slowly weaken as it moves towards Florida, but will maintain considerable strength overall. Many models have shifted the Northward turn to the East as of this morning. 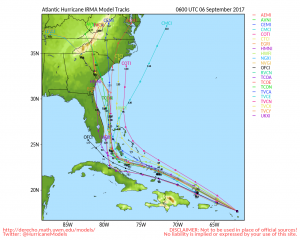 This means that Florida will still see an impact from a strong hurricane but also means that areas along the Georgia and Carolina coastal regions need to be watching closely as well. 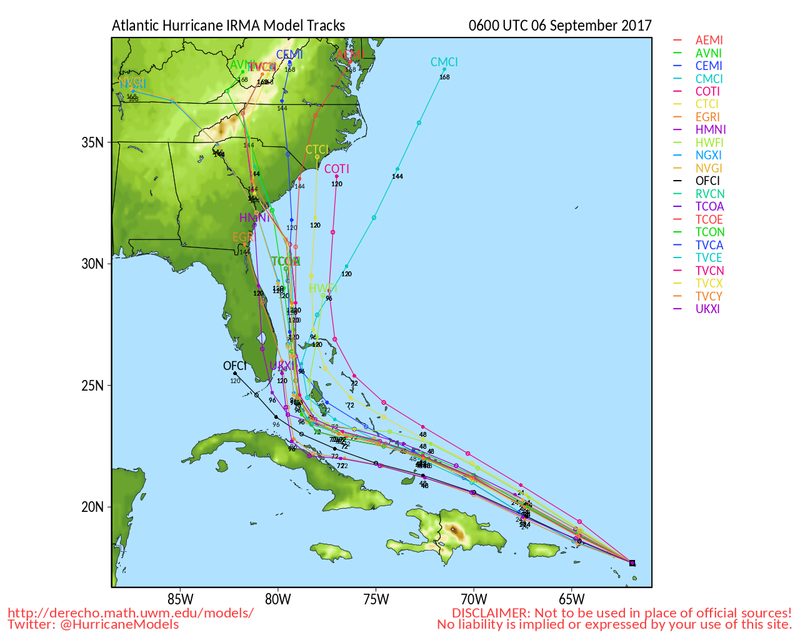 If these models verify, those areas could see impacts from the hurricane, please keep in mind models this far out are not super accurate. Use the models as a general guideline as to which areas need to be watching closely and preparing for possible storm impacts. Due to latest shift in models, the Carolinas and Georgia should be paying close attention to local weather alerts and be ready to start preparing for this storm. Florida residents should already be preparing for the storms arrival sometime this weekend. Be Weather Ready! 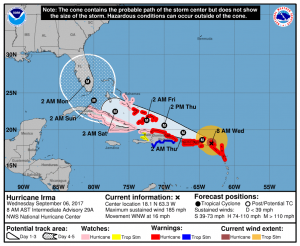 Be prepared for Hurricane Irma, don’t wait until it’s too late! Secure your home: Cover all of your home’s windows. Permanent storm shutters offer the best protection for windows. A second option is to board up windows with 5/8 inch exterior grade or marine plywood, built to fit, and ready to install. Buy supplies before the hurricane season rather than waiting for the pre-storm rush.